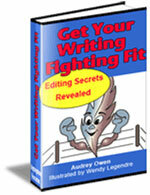 If you plan to write verse, you need a rhyming dictionary. Coming up with good rhymes can be a trial, even for those with extensive vocabularies. Thankfully, diligent souls have created rhyming dictionaries. There are so many differences in rhyming dictionaries that I can't tell you which one to use. What I can tell you is what to consider when choosing one. The first consideration when you choose a rhyming dictionary is which English you speak. I'm Canadian. If I want to end a line with "route," I am faced with choosing to rhyme either with "out" or "toot." This doesn't have to be a huge problem because instead of looking up "route" I could look up either "out" or "toot" and go from there. Most English rhyming dictionaries use either British or American pronunciations. Check before you buy. Rhyming dictionaries also vary in structure. Some simply list words in alphabetical order and put the rhyming words with them. Other rhyming dictionaries list rimes. In this case, the rhyming dictionary will often list them as one, two, or three syllable rimes. If you don't know what I'm talking about, you may want to take the free course, Writing Verse For Children. There are some rhyming dictionaries that list the rimes using a phonetic alphabet that you can learn to use, but they do present one more hurdle. Then, of course, you will want to decide if you want a hard cover, soft cover, or pocketbook edition when you buy a rhyming dictionary. If you want to write verses of any kind, an investment in a good rhyming dictionary could save you hours of time and is well worth the money. If you want to use American English, you might want to start your search here to buy in US dollars, here for Canadian dollars. Speakers of British English will probably like this one (US dollars) (Canadian dollars). And if you are like me and you speak Canadian or Australian, or some other dialect, click on one of the above and do the best you can. If you find a rhyming dictionary written for your dialect, let me know so I can list it here.